ORLANDO – As is the case for any self-respecting point guard with an old-school mindset, New Orleans’ Elfrid Payton doesn’t hesitate when you ask what’s been the most satisfying aspect of his five-game, triple-double streak. 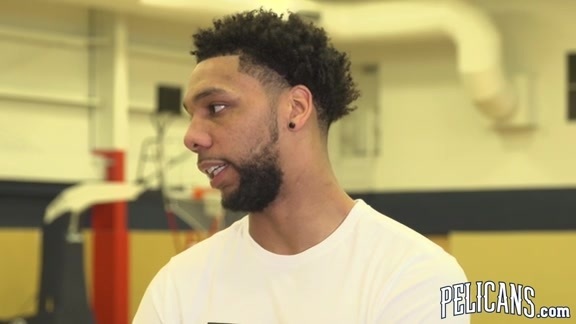 Instead of focusing on what the feat means to him individually, the fifth-year pro prefers to discuss the enjoyment he derives from seeing teammates make strides. By definition, triple-doubles are statistical proof of a player’s versatility and ability to be productive in three different categories, but as a pass-first floor general, Payton has always taken the most pride in setting up teammates for scores. Payton has been consistent across the board over the past five games – averaging 15.6 points, 12.0 rebounds and 12.8 assists – but it’s the latter number that he most appreciates. In an NBA where scoring-minded point guards were once the exception, but are now the rule, Payton has maintained an unselfish mentality, something he tries to apply beyond basketball. During what’s been a disappointing Pelicans campaign that also turned tumultuous at midseason, an array of inexperienced New Orleans players have benefited from Payton’s mentality. NBA rookies Jackson and Williams went from playing sparingly to moving into the starting lineup and contributing to eye-opening wins; Okafor and third-year big Cheick Diallo have generated numerous efficient performances, after neither was guaranteed even a minor role early in 2018-19. Payton, who’s posted eight double-digit assist games in his last dozen outings, has been aided recently by an extended healthy stretch. In what’s been a brutal-luck season for him and his team, Payton only played in six of New Orleans’ first 37 games. Not long after returning from injury in late December, he had a near-month of DNPs that bridged the All-Star break. 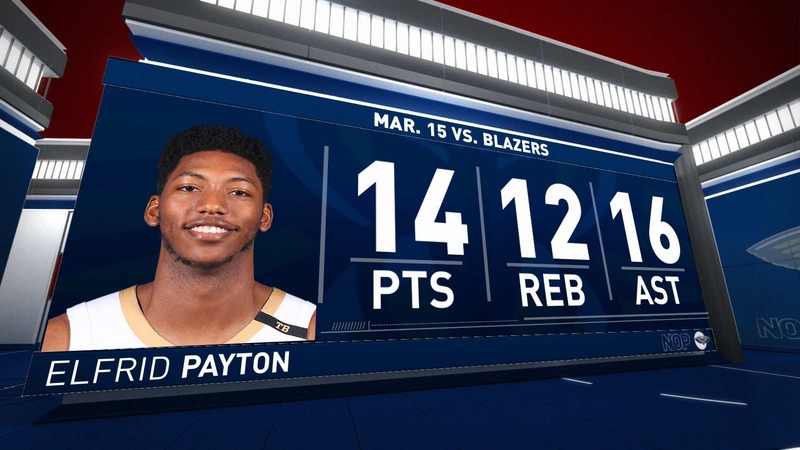 With a career average of 4.4 rebounds, from a pure mathematical standpoint, that category is the most difficult facet of compiling a triple-double for Payton. 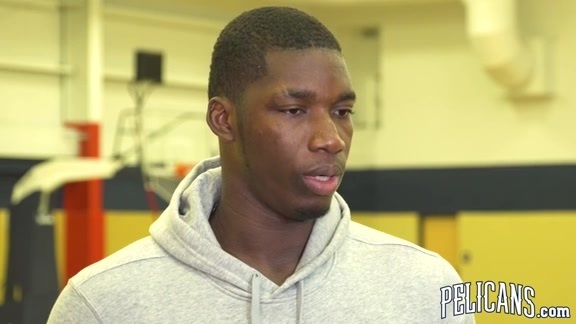 But the 6-foot-4, 185-pounder has used his size, quick hands and feet to track down caroms and help out New Orleans’ bigs in the paint, particularly this month. Of Payton’s seven double-digit rebounding games in ’18-19, six have occurred since Feb. 27 (the other was in the Oct. 17 opener at Houston). 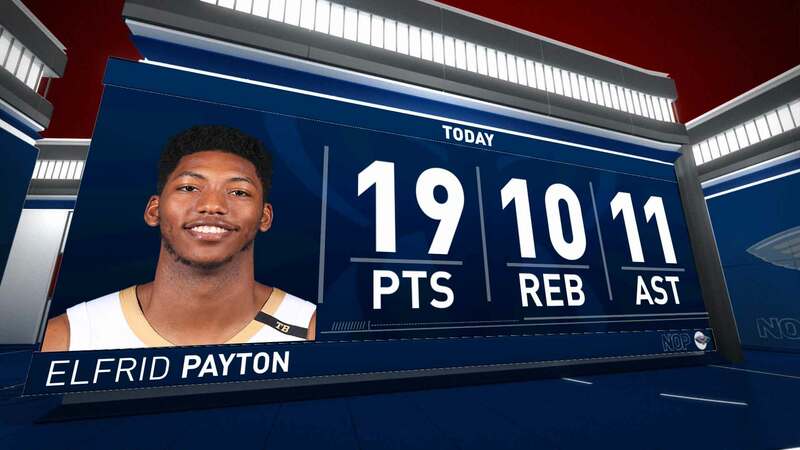 Pelicans Elfrid Payton filled up the stat sheet with 15 points, 10 assists & 10 rebounds for his second triple-double of the season.